If you live in New York, chances are pretty high that you live in an apartment building. We, young generation X-ers, face a tough choice. To be able to afford a house without Google stock options, you need to move either to New Jersey (technically ceasing to be a New Yorker) or to Staten Island. Which is a fate worse than death. The rest, find refuge in the bajillion of apartment buildings on the Isle of Long or in Manhattan itself. There are also some in Jersey City, Queens and the Bronx. Apartment living is a reality for most Manhattanites and card-carrying members of the Bridge and Tunnel society, such as myself. I don’t think I’ve ever seen central air heating in a New York apartment. Apartments here are heated with radiators. Radiators are noisy, prone to overheating and generally troublesome. 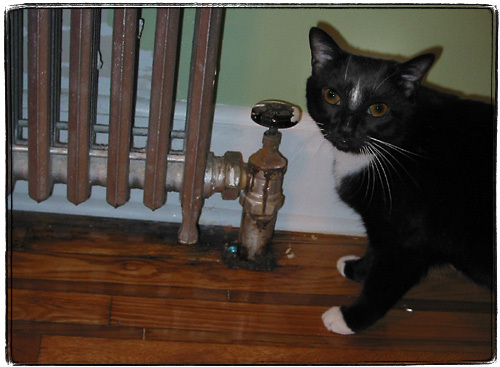 As the heating season is about to start, let me share with you my wealth of radiator knowledge. There are three major heating system types common to the New York area: water, one pipe steam and two pipe steam. Only the oldest buildings have water heating, if you have one of those, you are on your own. I’ve never seen a two pipe steam system either, so the only one I can tell you about is the almost century-old technology – the one pipe steam radiator with a Hoffman valve. It’s very, very likely you have one of these. 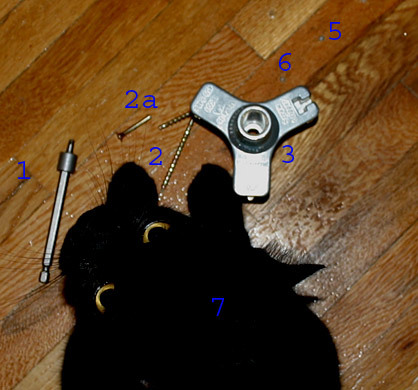 In this picture Gary the cat shows you what a typical single pipe system looks like. It’s basically a steam-carrying pipe sticking out of the floor, connecting with your radiator via a valve. A mistake that most people are making, is thinking that by twiddling with this valve it’s possible to control the temperature. This is absolutely wrong. In theory, you should be able to open and close this valve to start or stop the flow of steam. In practice, as most of these are very old, the gaskets don’t hold steam at all even in the closed position. Closed and half-open position usually does not result in much other than noise from the condensed water that can’t get back down and leaks. This heating system is very simple. 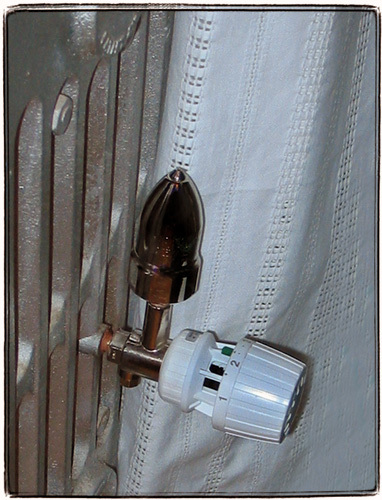 Steam enters the radiator through the pipe, condenses as water and leaves down the pipe. It has numerous advantages: steam is more efficient than heated water, there’s next to no chance of the system freezing (when that happens to a water-heated radiator on the coldest day of the winter, it’s not a lot of fun – just ask Joel). Steam radiators like this existed in Victorian times as well, with one exception. They tended to explode if too much pressure was applied, maiming and killing hapless apartment dwellers. That’s why so many brownstones have water-heated systems. 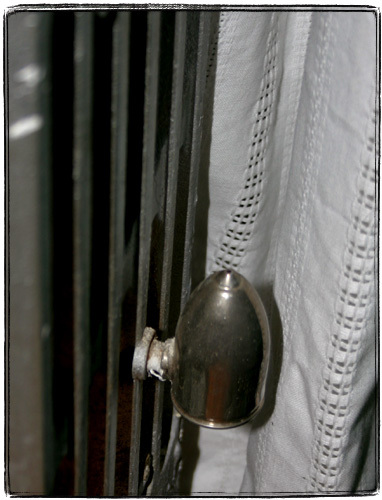 In 1913 George D. Hoffman started a company that produced an ingenious little device that made steam radiators safe. If you look at your radiator, you’ll find a little vent that usually looks like a miniature rocket ship (as you can see both my radiator and the valve have Streamline / Art Deco styling very popular in the period when my building was built). Chances are, it will be a Hoffman Specialty Model 40. This device works like a not very bright Maxwell’s demon: it lets air enter the radiator or escape, but stops steam from escaping. The whistling noise that you hear at night is air escaping the radiator when it fills up with steam. If the vent is not correctly sized or, which is more frequent, got clogged up with mineral deposits, you will hear water and steam spurting out of it and destroying your neighbor’s ceiling. Worst case scenario – the valve gets stuck on open and fills your entire room with steam, ruining the walls and possibly burning you. When changing a clogged valve, make sure that the steam is off and is going to stay off while you change it, and be around when the steam is going back on to make sure that there are no leaks. Even if you have a properly sized and regulated valve and you pitch the radiator towards the pipe to let the water drain without making much “water hammer” noise, it’s likely that your apartment will be overheated. Most are. As the intake valve is usually out of commission, the best way to turn off the radiator is to close the steam valve by turning it upside down (I’ve heard about this trick on This Old House. This is rather inconvenient and a bit dangerous – you might strip the threads and end up with a whole room full of steam. My guess is that there would not be an explosion as the valve is engineered to open if the pressure is excessive. Maybe not, I don’t know. The best thing to do is to purchase a regulated thermostatic valve. These are improved valves with a sensor that closes the valve when the temperature reaches a certain level. While not perfect, these really let you exert a tiny bit of control over your apartment’s temperature. It also lets you easily shut down the radiator, as sometimes the buildings overheat so much, that you don’t need heat at all. The kit usually consists of three parts: a temperature control device, an adaptor and a Hoffman-type valve. This will run you about $100 altogether. I have one on two radiators, and let me tell you, these are worth every penny. Don’t you wish you could peer inside the walls to see if there are electric wires there, or leaking pipes? Well, now you can with a Fiberoptic Borescope for way under 200 bucks! 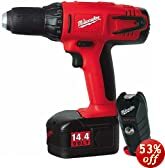 Milwaukee drills are some of the finest drills ever. Basin wrenches are some of the most useful tools missing from most toolboxes. While we are on the subject of screws, here’s another thing that I learned about fasteners. As any know-it-all who pays attention to things like that I looked up why screws with what we called cross-shaped screws in the USSR are called Philips screws in the US (I wonder what they call them in other countries) are called so. Of course the answer was one web search away in the Straight Dope Classic Why did this guy Phillips think we needed a new type of screw? I also purchased One Good Turn: A Natural History of the Screwdriver and the Screw used at Amazon. I learned that the screw and the screwdriver is a rather recent invention, interestigly enough one of the very few tools not known to the ancient Chinese. Useless trivia aside, I hate both slotted and Phillips screws. Of course I would not even think of using slotted screws for anything other than period-correct Craftsman style or Art Deco hardware such as cabinet pulls or outlet covers. But the common Phillips screws, with their falling off from the bit (even the magnetic one) and stripping (not the good bachelor party kind) drive me absolutely nuts. The solution? I bought a couple of boxes of hybrid Phillips/square screws from Rockler. You can use the regular Philips driver, or you can use a special square one. The benefit of a square bit is that the screw does not fall of the bit and does not strip easily. The kit also includes a bottle of suggestively named Rockler Screw-Lube. The paper box is rather sucky and unusable – the partitions lift up and the screws mix. Here’s yet another edition of WML – What Michael Learned. And the subject of today’s post is one of the things that I hate as much as I love hardwood parquet floors – squeaks. In SAT-speak I am somewhat corpulent and nocturnal. And a sonorous squeak of a parquet floor in the dead of the night is not one of my favorite sounds. I am certainly not one of those people who think that squeakiness adds character to an old floor. A few years ago I searched for a way to repair squeaky floors and kept finding advice for those who could access the floor from below – in cases of houses with basements that expose the underside of the upper floors. Then recently I found a solution in an episode of Ask This Old House that works for me. It is marketed as “Squeeeeek No More“. That’s right – 5 e’s. Luckily Google suggests the “correct” spelling even if you use less e’s. I bought my kit over here. It came with 50 snap-off screws, a square driver bit, a special stud finder screw (he heh) and a depth control/snap-off tool that looks like a Klingon weapon or instrument of torture. First of all you shoo away the cat (7). Then you need to find a parquet plank that squeaks. You do that by first finding the general location of the squeek and then with your foot sideways pressing on individual planks. Usually it’s only one or two loose planks that generate the noise when they move. Each one of the planks is nailed individually and it’s the nails that make the sound . You don’t need to worry about finding a stud – just drill a few pilot holes (so that the wood won’t split). Then using the square driver bit (1) you drive the screw (2) a few turns into the pilot hole. Then you drop a depth tool (3) over the top of the screw and continue driving the screw into the floor with the driver bit. 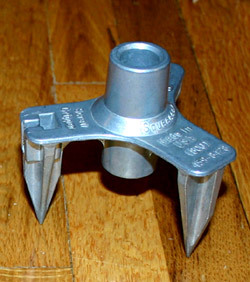 The driver bit has a fat section at the bottom which will prevent it from driving the screw further than necessary when used with the depth tool.Then you use a T-shaped hole in the depth tool to gently break off the head of the screw (2a) by rocking it side to side. The screw will break off under the surface of the wood leaving a small hole (5) and (6) in the floor that can be filled in with wood repair sticks. I found that it takes about three to five screws per squeaky plank. The Klingon device is not really necessary for parquet floors without carpets. The screw breaks easily with the tool, and doesn’t when you screw it in. It would be a good idea to practice on some scrap wood (which I didn’t do of course), but I’ve had no accidental snapoffs so far. It would become a problem if the screw would break off above the surface. I guess the best way to fix that would be to pound the crew in with a nail set (which is not an easy matter for sure). If you do not predrill the hole a split in the plank would not be an easy fix as well. On the plus side, the holes are not very visible even unfilled. I guess the best time to do this fix would be right before floor refinishing. There is a cheaper version of the kit marketed as “Countersnap“, which seems to be exactly the same thing, except the depth/snap-off tool that comes with it can’t be used on carpets. Actually I think that’s the one I’ve seen Tommy use on Ask TOH. Of course this system will not work for people with radiant floor heating, pipes and electric wires that run under the floor, super expensive museum quality floors with highly polished astronomical mirror grade finishes and landlords who do not allow driving screws into the wooden floors no matter how squeaky you or the floor gets. Oh, right. 50 deadprogrammerTM points to the reader who can tell me the sci-fi author who inspired the title. After some research and trial and error I finally found the best tea making device. It’s a Bodum Assam teapot. It has two advantages over the clay teapots. First of all it’s clear. It makes it very easy to judge the strength of your infusion. Second, the french press like plunger filter stops the infusion process, yet you don’t have to take out and discard tea leaves immediately. One drawback might be that the tea cools down faster than in a clay pot, but I actually like cold tea. By the way, I highly recomend Kitchen Kapers. I buy a lot of my kitchen gadgets from them. WML : How to Good-Bye Obesity: Heart Rate Training. Malarkey? or Effective Way? I am a hardened veteran of the battle of the bulge. There are a lot of factors working against me — genetic predisposition, laziness, sedentary lifestyle. Yet still, from time to time I wage a war on fat, and often enough come out victorious. I despise people who say that you should like your body the way it is. Body image hate is A-Ok in my book. Generally I spent most of my life in various states of obesity. But three times I managed to bring my weight down to normal. The first time was when my parents signed me up for summer gym classes. Calisthenics and running 5 times a week for a whole summer really slimmed me down. 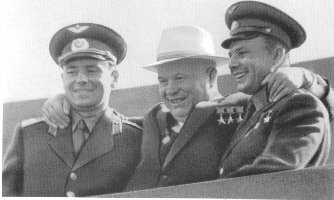 Unfortunately the very charismatic coach we had ended up getting drafted into the Soviet army, and without motivation I stopped exercising and started gaining weight again. Then my dad got me into a tennis class. I got in only because he was a chief engineer in charge of building the stadium which housed the tennis courts where we played. I sucked at playing tennis, but by the time I left the Soviet Union my weight was back to normal. American food, stress and more stress took it’s toll during my high school years. Still, one summer I took a gym class during summer school and took to running 10-12 laps around the stadium every day. My weight was back to normal again. But then I’ve got a job at Nathan’s Famous and gained a lot of weight eating free hot dogs and fries. I never had any luck with diets up until now. Surprisingly enough Atkins diet really works. But of course it’s not enough. In fact, I lost 30 pounds and stalled. But then suggested that I try heart rate training. There’s this company called Polar. They make very accurate pulse rate monitors. These monitors consist of two parts: a transmitter strap that goes around your chest and a watch which picks up the wireless signal from the transmitter. The device continuously monitors your pulse so that you can adjust your effort level to stay in the fat burning zone. Luckily treadmills in the gym that our corporate overlord and beloved billionaire tyrant built for us already have Polar receivers inside. And as it turned out the gym attendants have transmitters available on request. You just punch in the desired heart rate and the treadmill adjusts to you. It also accurately calculates calories burned. And the overhead monitors are tuned into various Fox channels. Simpsons while working out — what could be better? Running with heart rate monitor is just amazing. You don’t get too tired, but you know that you are exerting yourself just enough to burn fat. It’s very motivating. To keep myself further motivated I think I’ll buy myself an iPod when I loose another 10 lb. If you were wondering, the subject line is a reference to the title of this book. I am a little weird when it comes to organizing stuff. I am kind of like this dude in Chekhov’s “A Man in a Case”. I like cases. In particular, I like custom cases. For instance, if you purchase an expensive telescope, chances are it will come with a case. This case will be a box filled with a special kind of foam. This foam has a pre-cut silhouette of the scope and accessories. This way everything fits exactly. This reminds me of the Kazbek-U Soyuz spacecraft couches that are custom made for each cosmonaut. A chair made for Norman Thagard at the National Air and Space Museum. I’ve seen cooler chairs in a museum in Moscow when I was a child, probably from Salyut or maybe even Vostok missions, but I can’t find any references. Anyway, back to custom cases. I really want a case for my bedside table. It should hold my glasses, keys, wallet, watch and wedding ring. This may look comical, but is rather convenient. I can’t just leave all this stuff on the tabletop because Tilde the cat likes to play with things. Tilde already “disappeared” my nice titanium wedding ring. I don’t want to just put everything into a box because I don’t want my keys to scratch up my really, really expensive glasses. So anyway, the are three steps in making a custom case. Get a box. That’s easy. Get some foam. That’s a bit harder, but you can get it a good photo store like B&H or Adorama. Now comes the hard part. Cutting the foam. My first attempt failed miserably. I tried cutting the foam with a sharp blade, and I could not make any straight cuts. Then I tried to cut the foam with a hot knife. That generated a lot of stinky smoke and the results were not very good. But finally I found a solution on the Net. What you need to do is soak the foam in water, wring it out and then freeze it. Frozen foam can be easily cut with a knife or drilled with a drill or a sharpened pipe.